VoIP is a common business acronym that stands for Voice Over Internet Protocol. Simply put, Internet protocol (IP) is a particular address that relates to where a computer is located in relationship to the World Wide Web (which is not the same thing as a Web site address). Therefore, Voice over Internet Protocol literally means that someone is using his or her voice to connect digitally with others through a computer or Internet connection. VoIP accounts are really just internet phone systems. Many businesses use VoIP services as their phone lines in lieu of traditional analog phone lines. Because there are so many VoIP providers, it can be difficult knowing how to research and choose a vendor. 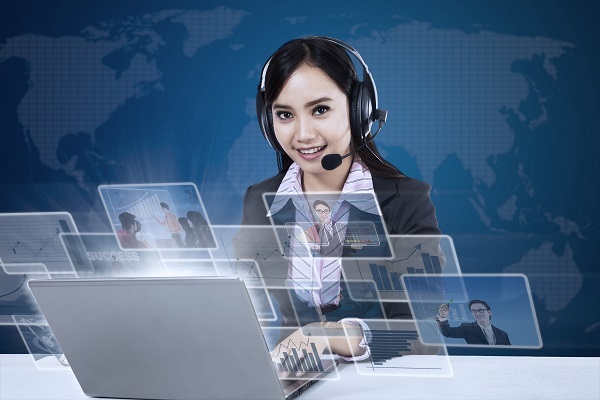 Click here if you need help finding a VoIP services vendor. According to many specialists, this is the future of telephone systems. VoIP telephone systems allow businesses (or users) to connect with others using the Internet. The connection is digital and can be easily transferred to another phone or converted into text and stored. VoIP systems tend to also be less expensive and easier to maintain than traditional analog phone systems. Any drawbacks, such as sound quality, are being modified on a constant basis as technology advances. So how do you select a vendor for Business VoIP Services? Reliability: One of the draw-backs of the early VoIP systems was that they have a reputation for having unreliable sound quality and connectivity. Some early systems had a reputation for dropping calls. Others have a reputation for having phone connections that sound as if the speaker is “in a cave.” All VoIP vendors are not equal. Therefore, you will want to test out a VoIP vendor before selecting the vendor that is right for you. Features: VoIP vendors offer a wide variety of very appealing features. Some VOIP will automatically forward calls to a cell phone. Others will provide a program that will convert voice mail messages to emails or text messages that the receiver can read. Some VoIP programs also allow customers to create “ghost” phone numbers – or many phone numbers for one account. Businesses need to determine which features are right for them before selecting their VoIP vendor. Price: The price for VoIP service varies a depending on the number of phones a business uses, features, and the vendor itself. Therefore, businesses should determine what their budget is before making a selection. Keep in mind that most international and long-distance phone calls are free when using VoIP, which is not the case with an analog phone service. Hardware: The hardware required for VoIP services also varies based on the vendor. For example, some VOIP services can be used on a computer. Other services are available through a VOIP-equipped telephone. Reputation: Do a Google search about your potential VoIP service providers to see what others are saying. Most of us are familiar with the VoIP names of Vonage, C Beyond, and Packet 8 VoIP, but it is a good idea to look elsewhere before making a final decision. VoIP is likely the future of phone technology. There are many vendors offering a variety of features and pricing packages. Click here to have VoIP service providers compete for your business. For additional information, click here for general business service providers.